Retro VW Campervans have become icons in recent times. Old-school vans such as the Splitscreen, the Bay and the Samba are in high demand. 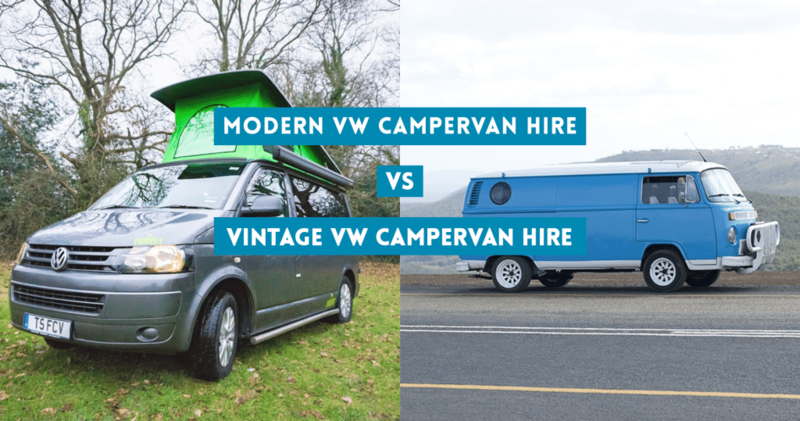 Here at Call Campervan Hire, we think modern VW Campervan hire is better than hiring a vintage VW Campervan. 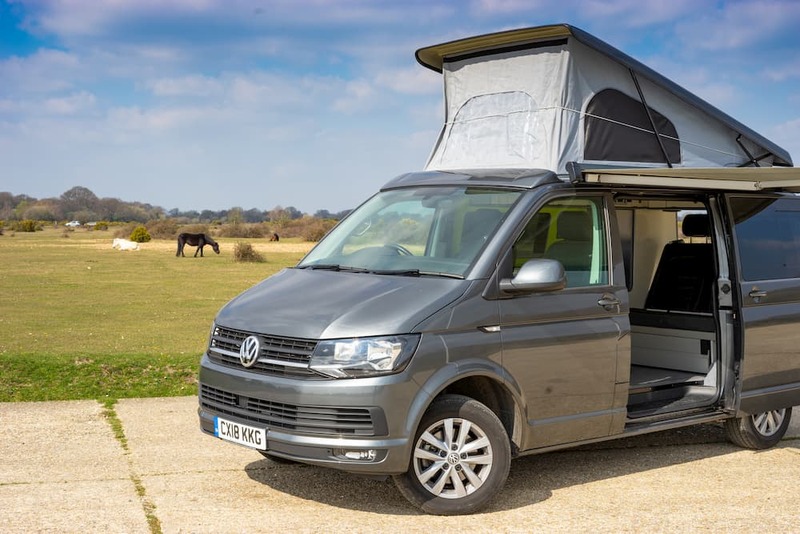 Find out a few reasons why we think modern campervan hire is better and what you can expect from our incredible range of Modern VW Campervans. 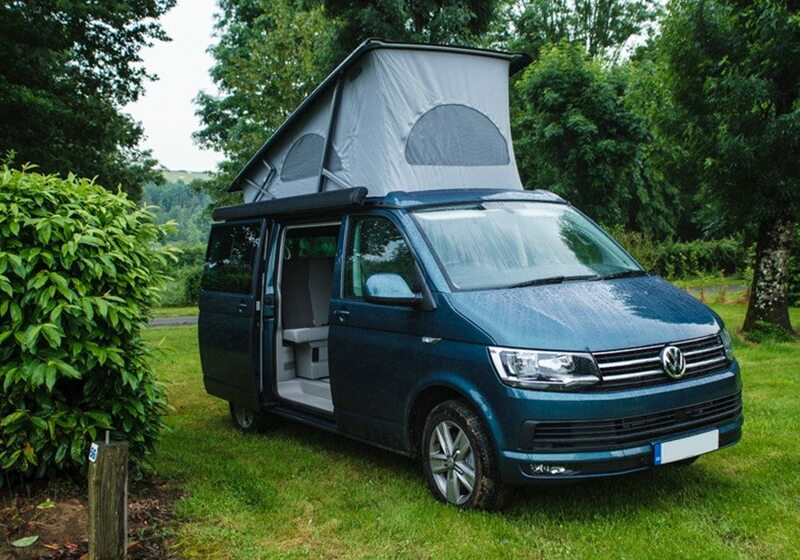 Hit the road with one of our modern VW campervans and start your campervan adventure! We have a fleet of 4 incredible VW campervans. Our vans are high spec and have lots of great features you wouldn’t get in a vintage model. You’ll be amazed to find a kitchen and plenty of sleeping space for all the family. There’s plenty of other home comforts to keep you happy and entertained on the road. In the kitchen, there is cutlery, utensils, appliances, running water and electricity. The solar panel allows you to stay off grid for 7 days without any hookup. It’s not every day you can experience something like that, and a modern VW Campervan makes that possible. Not only are our campervans kitted out with some great features, they are also very reliable. A retro VW is likely to break down and put a stop to your adventures. Imagine having a great time exploring the UK, then having to wait for a recovery van to tow you home. You can count on our VW Campervans to keep you on the road. Another great feature of a modern VW Campervan is all the space you get. Our campervans can fit a family of 2 adults and 2 children or 3 adults. There’s plenty of space if you want to bring a dog along too! You can sleep on a comfortable rock ‘n’ roll double bed, and sleep two more people using the pop-up roof. When you are parked up, you can make the most of the outdoor space while you relax around the campervan. There’s a marquee to protect you from the elements if it starts to rain so you don’t have to miss out! Why Choose Our Modern VW Campervan Hire? We love our modern VW Campervans. 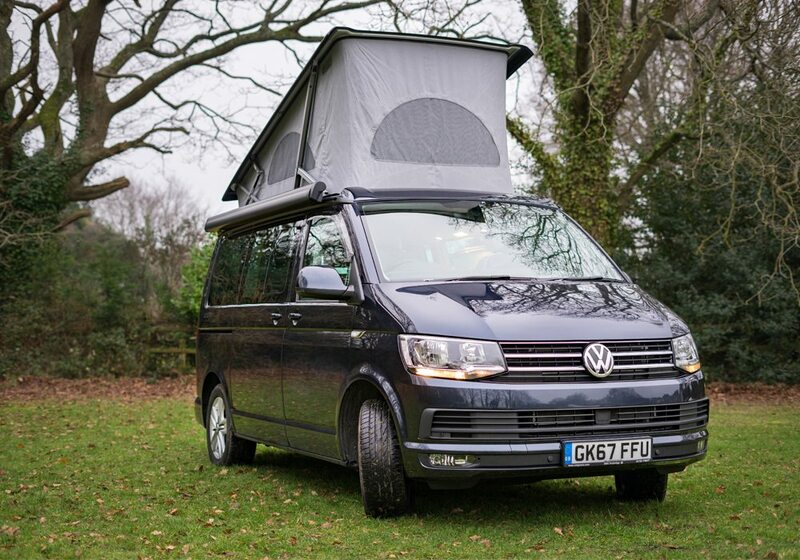 We have 4 amazing vans, including t5 conversions and VW Californias. Our campervans are high spec and have plenty of great features. You can expect lots of space, a kitchen area and much more. For the even more adventurous types, you can hire a bike rack from us, as well as some other great optional extras. We’d love to help you plan a campervan adventure, so why not contact us about modern VW campervan hire?